We regard quality as our overriding concern, after safety. Quality issues drive our production as attested to by the long-term loyalty of our customer base. We have an extensive testing and record-keeping regimen. Every Hero Coatings employee has at least twelve years of experience and training on our factory floor. 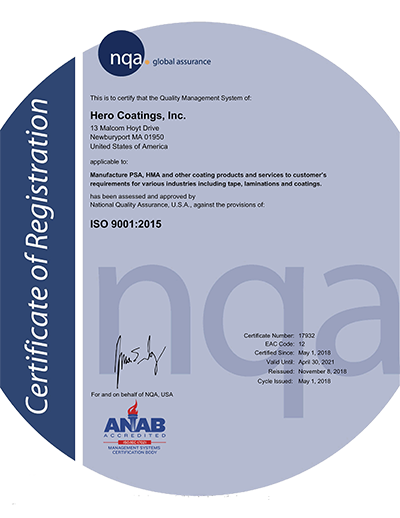 Every lot of product from Hero Coatings is physically tested and shipped with a certificate of analysis to assure conformance with customer specification. Our facility has undergone quality audits by numerous Fortune 500 companies, and we welcome quality audits by any company expecting to do business with us. We operate a Class 1 fire protection manufacturing facility with a total flood-CO2-fire suppression system that assures minimum plant damage and rapid restart in the event of an accident. We have never had an accident and our safety record is outstanding. Our environmental systems meet all federal and state regulations. We have a 25-ton air permit and have not reached full permit capacity. With Safety and Quality being the top priorities of Hero Coatings, we have undergone major investments in the following areas. 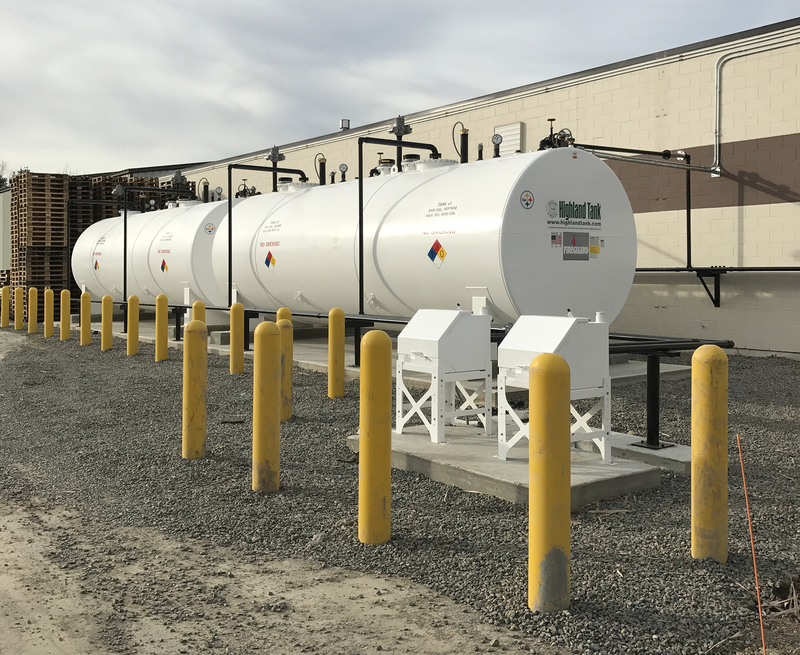 The two above ground bulk storage tanks replaced our underground storage tanks. These state of the art double wall storage tanks ensure the safe storage of our solvent. Our inert gas blanketing system uses a nitrogen generator to sweep and purge our mixing vessels during the production process. This process improvement helps to ensure the safety of our employees and facility, so we can continue to deliver a consistent product. 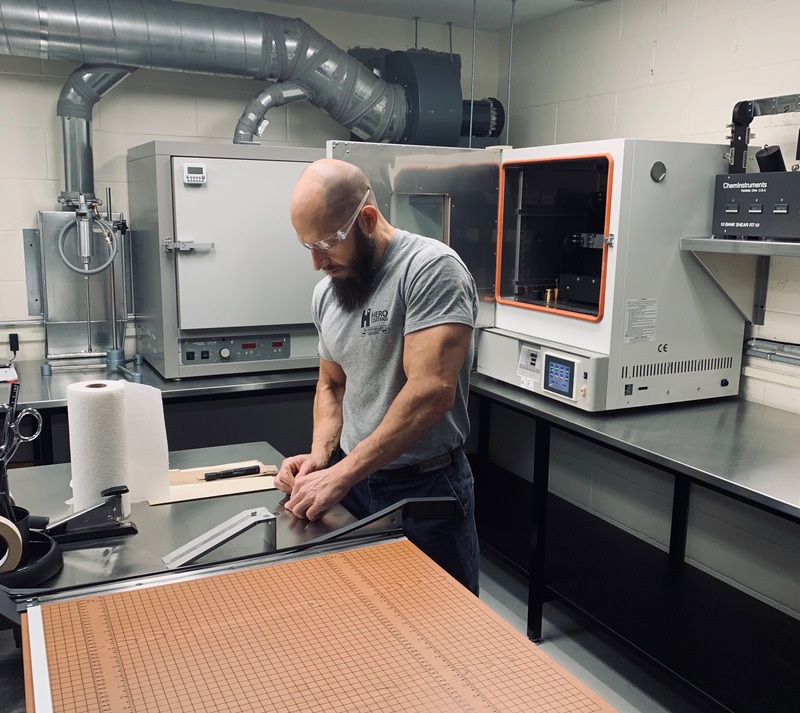 The new state of the art lab is equipped with all the testing equipment required for us to work with you on your next project and qualify every pound of adhesive made.